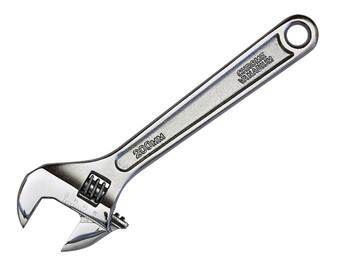 Watches are tools. This is a refrain constantly heard from fanboys on watch forums who increasingly resemble the very description they apply to their timepieces. 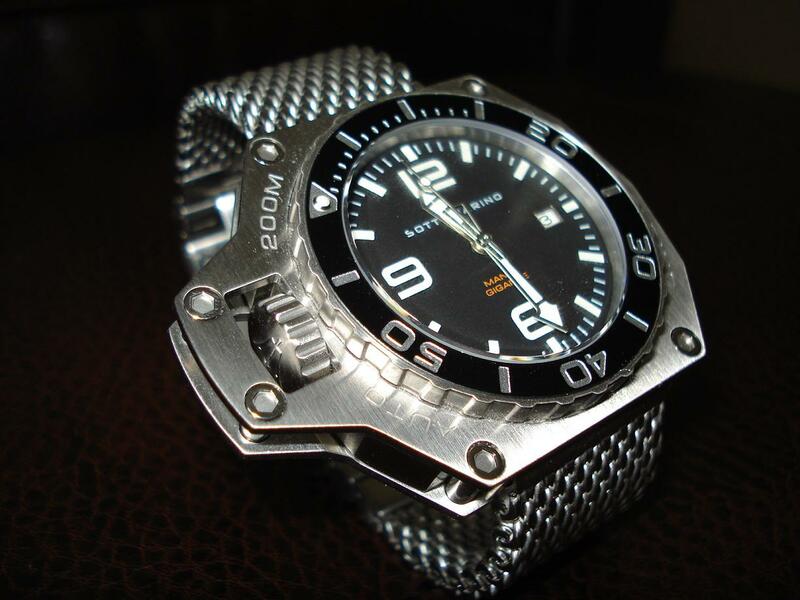 This being the 21st Century, a world chalk full of smart phones, cars with push-button mobile concierge services and miniature robots that clean your carpets while you’re at work, if watches are tools they are of the antique variety, even the monstrosity of a dive watch pictured above. ‘But wait’, I can hear the man who carefully posts hairy-armed wrist shots of his new NOMOS say, ‘up until the 1970’s, the ONLY way to accurately and efficiently tell time while scaling Everest, diving the wreck of the Edmond Fitzgerald, flying across the Atlantic, organizing a commando raid or meeting a friend at the corner of 42nd and Lex was with a MECHANICAL watch!’ While we do not, out of nostalgia, continue to use rotary dial phones, research via hard-copy encyclopaedia or send telegraphs, we have a tremendous degree of nostalgia for wristwatches. I confess that, to a degree, this is a feeling that I share. The idea of a collection of microscopic levers and gears consistently keeping track of time to within a matter of seconds of accuracy a day, while being jostled, bumped and subjected to all of our daily movements, is mind-boggling. I wear mechanical wristwatches every day – but I’m entirely conscious of the fact that I’m wearing an inefficient relic simply because I like it. We now have devices that are better suited to most of the uses we previously ascribed to our wristwatches. Dive computers are far more accurate and safe than dive watches (not to mention the distraction of diving with $10,000 on your wrist). Scientists have far more accurate means of time-telling than mechanical wristwatches, meaning that anti-magnetic watches are no longer necessary. It’s even harder to imagine a doctor taking your pulse with a pulsometer on his watch dial (unless he plays very fast-and-loose indeed with his medical license). In other words, it’s largely misguided to consider watches to be tools in the 21st Century. Using a wristwatch as a tool is like playing a round of golf with hickory shafted clubs – a quirky, fun in its novelty, ‘experience’. I think we can all agree that it would be lunacy for a professional to utilize these very same clubs for a serious match. Yet this is the very fantasy propagated by so many self-appointed horological arbiters. In my experience there are two complications that remain useful and practical in modern society: the GMT and chronograph functions. Both of these functions instantly communicate information to you at a glance; even faster than switching between apps on your iPhone. For the uninitiated, a “GMT” watch is one that provides the time in two different time zones at the same time. It was a complication introduced by Rolex in 1954, in association with Pan Am Airlines. 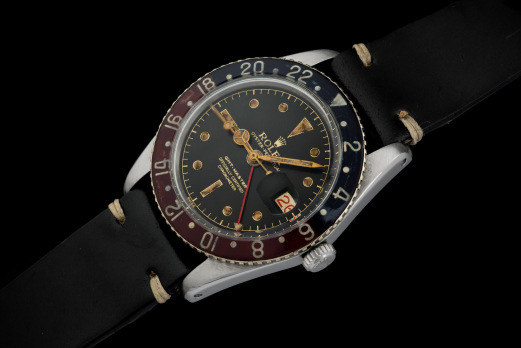 Pan Am wanted a way for their pilots to be able to keep track of specific timezones wherever they went and Rolex obliged by producing the GMT-Master (an original, bakelite-bezeled model is pictured below). 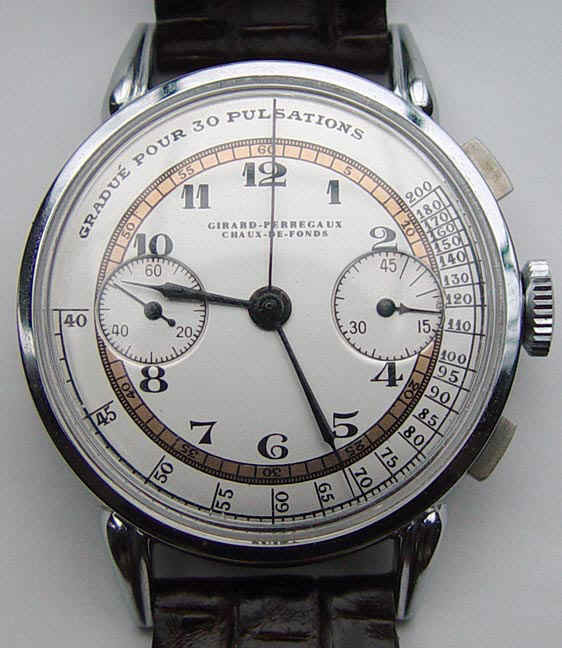 Since then, nearly every mainstream commercial brand has produced a GMT watch of one sort or another (the majority of these aren’t “true” GMT watches, as they’ve merely added a second hand that goes half as quickly around the bezel as a normal hour hand, thereby providing 24-hour time, with the need to move the bezel in order to set the “second” time zone; a true GMT has two completely independent hour hands). A chronograph, on the other hand, offers stopwatch functionality; it allows the wearer to continue to keep track of the time of day whilst also timing a specific event. Particularly popular in the 1960’s and 70’s with car racers, they allowed laps and pit stops to be timed on the fly. 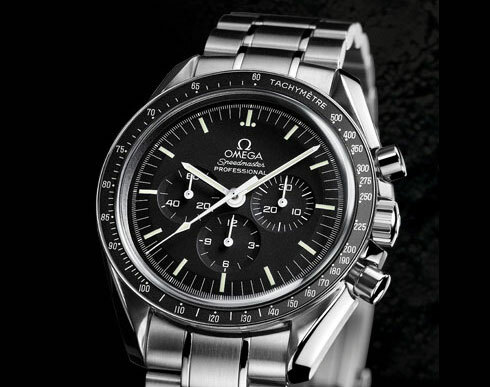 Best known of these include the Rolex Daytona, Zenith El Primero (the first mass-produced chrono movement), Longines 13ZN, Heuer Autavia and the vaunted Omega Speedmaster, at one time, the only mechanical watch rated for space flight by NASA (pictured below). It is unlikely that you will require your chronograph to time anything remotely as important as an engine burn on Apollo 13 prior to re-entry (as all instrumentation was dead, the crew’s Speedmasters were used). Frankly, the most common use I have for mine is timing steaks on the barbecue – but, I enjoy it nonetheless and it lets me leave my phone on a table and relax. I have a stronger bond with my GMT as I have been travelling in Europe continuously for nearly the last three months. Primarily for work, but partly for pleasure, a glance at my wrist always told me what time it was in Toronto, all the while telling me the local time in London, Florence or Istanbul. Simple, yet incredibly effective and genuinely useful for a traveller when moving across timezones where the math isn’t quite as simple or memorable as PST vs. EST. Furthermore, it’s almost a wearable passport, the only thing that has been with me everywhere I’ve gone. So, while it may be tempting to go for that watch depth rated to 3,000 feet for your scuba fantasies, the reality is that you’ll never use it, other than for bragging rights. If you have one watch you wear almost every day, while an 80 hour power reserve is an impressive achievement, it’s one you won’t really need. Even a simple, uncomplicated watch is one that is largely superfluous in a world where every phone, car dashboard and computer screen has a prominent time display on it. Watches aren’t tools anymore – they’re occasions. That is, except when you want to know when you should flip the steaks or what time it is at home in Big Sky, Montana while you’re in the Grand Bazaar in Istanbul – in those cases, with the right watch, there is no more efficient means than a glance at your wrist.